Used Cars Scranton PA | Used Cars & Trucks PA | Jadta Fine Cars Inc.
View Jadta Fine Cars Inc.'s online showroom. Scranton PA's finest pre-owned vehicles. We are easily located at 1501 Cedar Ave.
About Jadta Fine Cars Inc.
Jadta Corp was founded over 45 years ago by Artie Brooks and his wonderful wife of 49 years, Theresa. Artie grew up in the car business, as his father owned Rizzo Motors, which was a Lincoln - Mercury dealership located in Shenandoah, Pa. After Artie served in the United States Navy aboard the U.S.S. Saratoga, he moved to Scranton in 1968 to sell cars for the local Ford dealership. After polishing up on his selling abilities, and saving up some seed money, he bought his store in September 1974, which was a beer distributor at the time. He sold the beer coolers to make way for a service area, and sold the beer trucks to generate some money for inventory and so it began. Arties "hands-on" approach to business allowed his store to grow to the point that it is today. Over the years, he has acquired some surrounding properties in an effort to increase inventory and sales volume, but those growing pains caused him to realize that he's just too much of a control freak, and the stress levels got unbearable as he tried to train additional employees. In an effort to remain sane ( and married to Theresa... lol) he knew that he had to shelf that idea, and realized that he was best suited to remain content with current inventory size and volume. After his son, Artie Jr, and daughter, Jacki graduated from Penn State University, (go Nittany Lions!!) they became involved in the family business as well. HIs oldest daughter, Debbie, steered clear of the family drama, and chose the medical profession where she is a Nurse Practitioner. It truly is a family owned and operated business that continues to be the small hometown family dealership that it originated as. If you call, text, or visit, you'll be speaking with a member of the family and they take great pride in working with each and every customer before, during, and most importantly...… after the sale. Please bring your family in to meet our family... it will be like Thanksgiving, without the bird!! 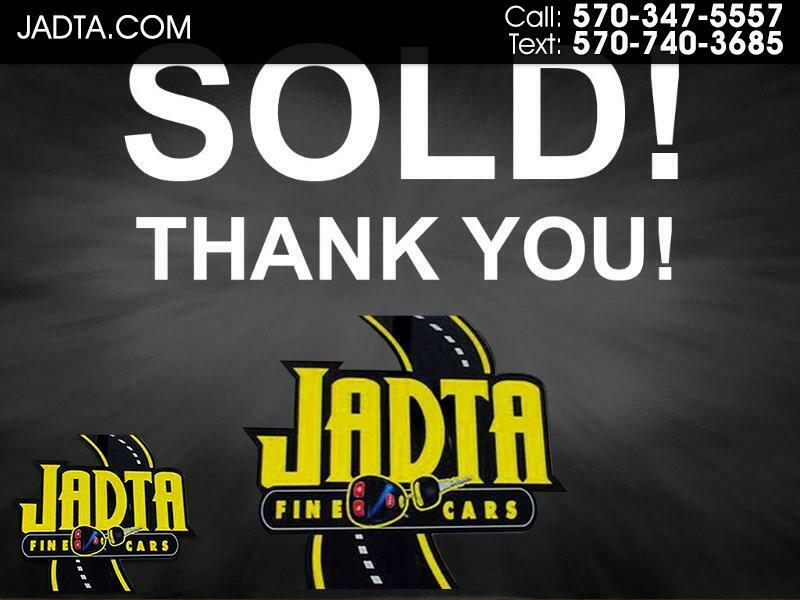 Let Jadta Fine Cars Inc. show you how easy it is to buy a quality used car in Scranton. We believe fair prices, superior service, and treating customers right leads to satisfied repeat buyers.